The work show below is for sale. If you wish to purchase please contact me. Prices do not include packaging/postage. 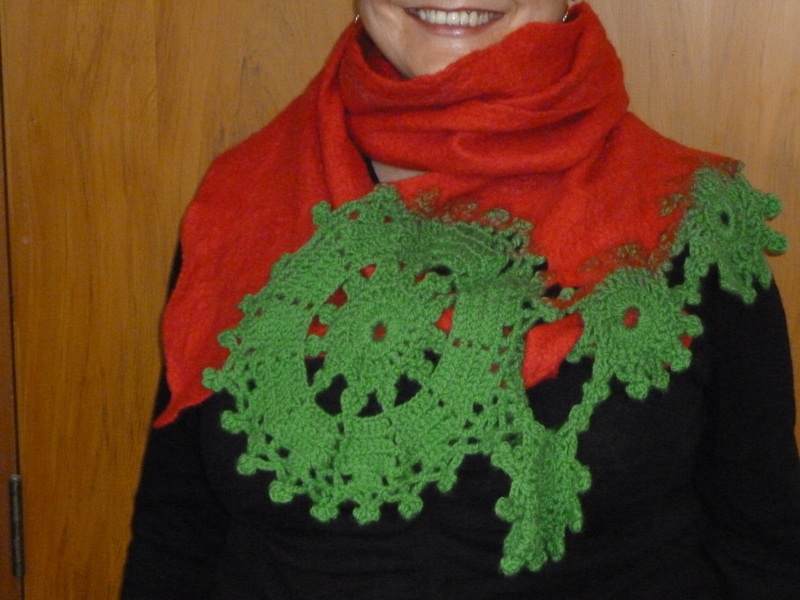 The scarves with crochet were inspired by my mother, when she gave me her samples, after she could no longer crochet, due to arthritis. At bottom of page, articles for the home and brooches. Materials: Merino wool, Paj silk and silk fibres. Materials: NZ merino wool and silk fibres and silk fabric. Materials: Merino wool, silk chiffon fabric and silk fibres. Materials: Merino wool, silk fabric, silk fibres and silk yarn. 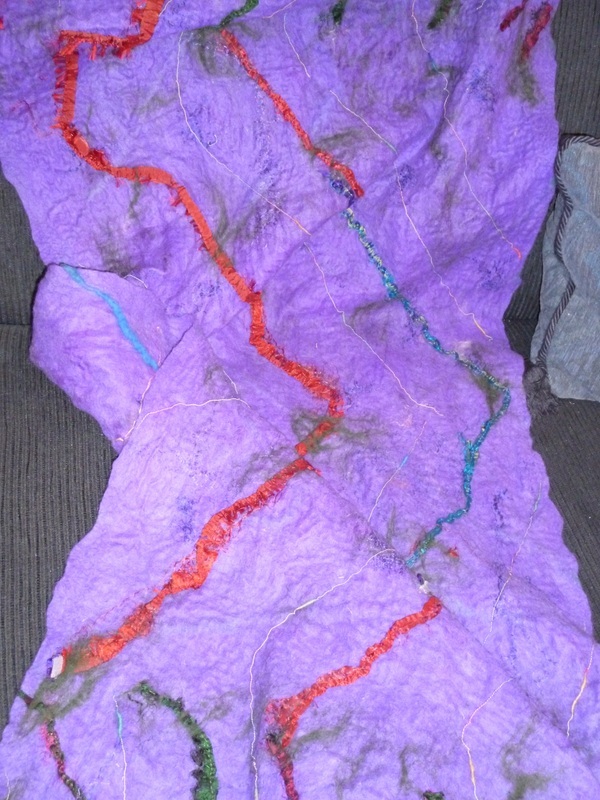 Materials: NZ merino wool, silk fabric, silk fibres and beads. 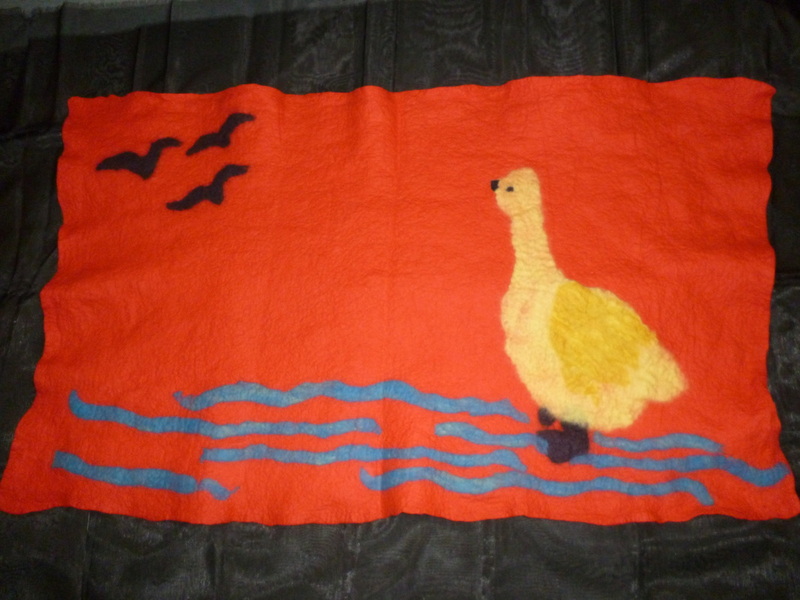 Materials: Indian silk, merino wool and silk fibre. Materials: Merino wool, silk fibres, wool yarn and silk fabric . Size: 2020 mm x between 140 and 150 mm. Size: 555 mm in diameter. Materials: Corriedale Wool, elastic, wool and embroidery cotton. It has sown in leather soles. Materials: silk fabric, NZ merino wool, silk noil and silk hankies. Materials: Velvet, merino wool and silk fibre. Size: 1.840 mm x 125 mm. Size: 260 mm (H) x 290 mm (W). Height with handles is 555 mm. 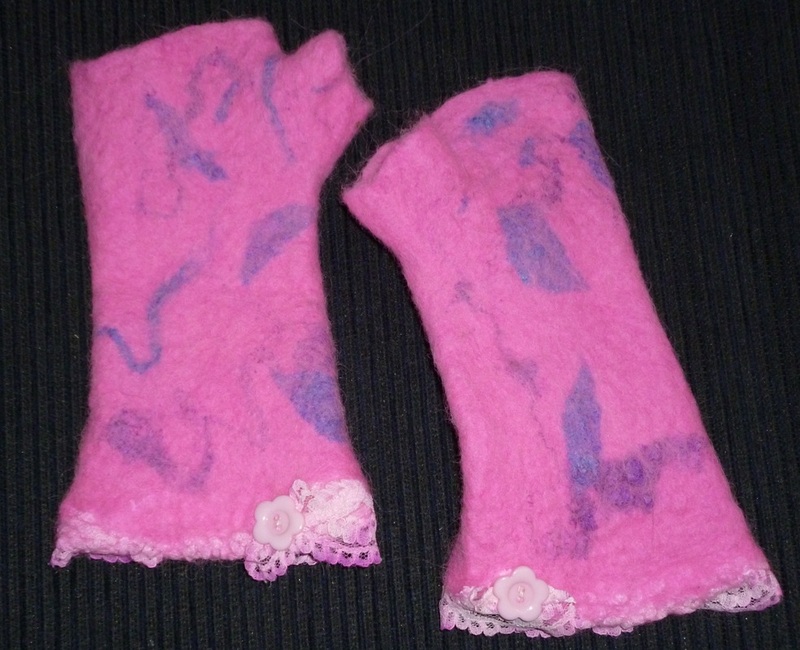 Materials: merino, silk tissue, silk hankies and fibre. Materials: merino wool, silk threads and silk fibre. Could also be used as knee rug or baby's blanket. 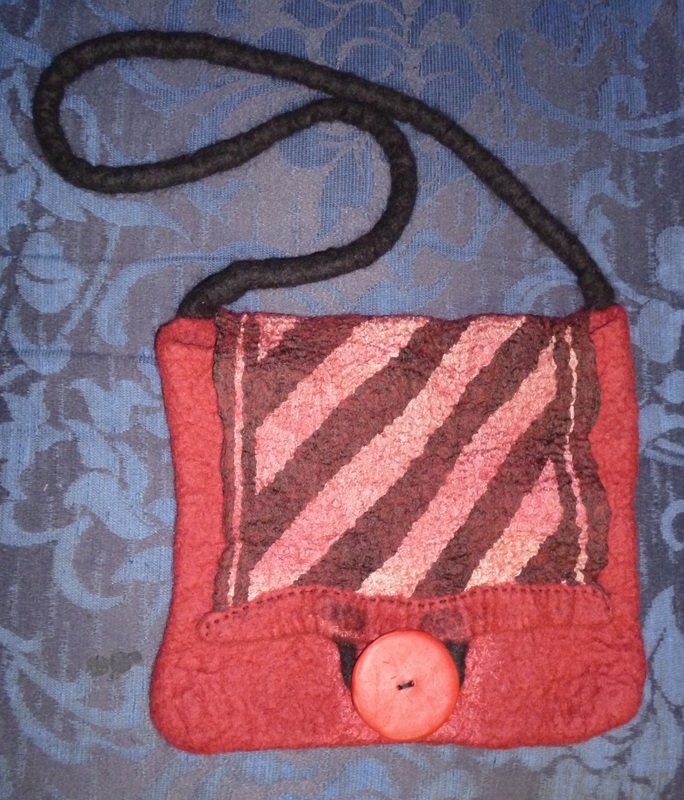 Materials: Corriedale wool, wool yarn and silk fibre. Materials: vintage 100% silk scarf, merino wool and button made from Dukkit by myself. Size: 210 mm wide x 190 mm height with handles 320 mm high. Materials: alpaca, NZ wool yarn, silk fibre. 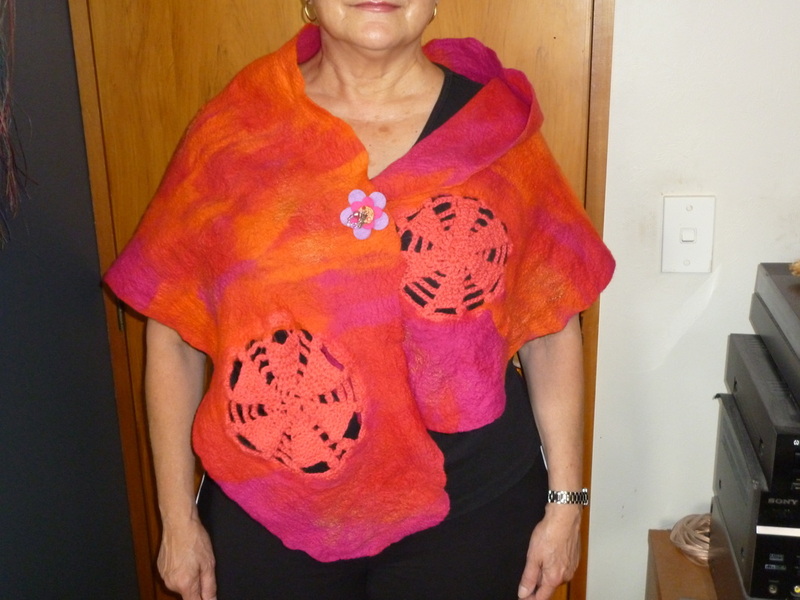 Materials: merino wool, silk fibre and the crochet done using 100%wool yarn. Materials: lace, alpaca wool and silk.